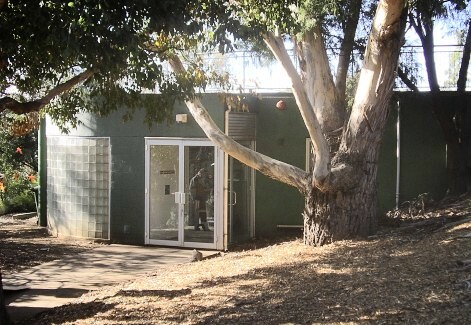 The herbarium is literally in the University campus; the rear of the building is set into the hillside and there is a lawn on top. 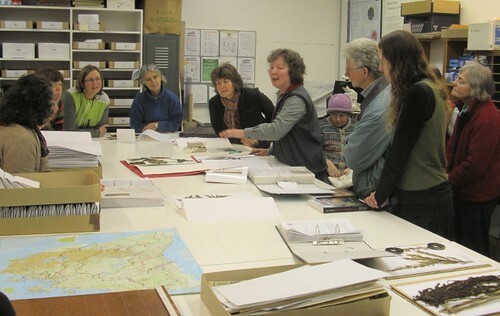 In the main sorting and preparation room. 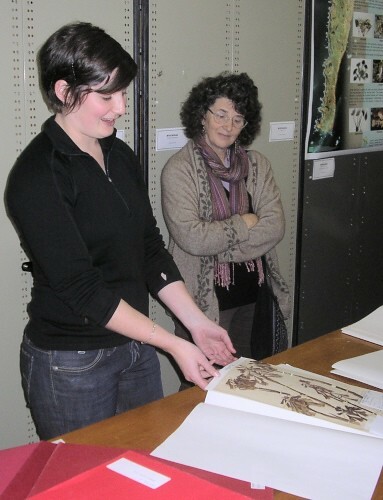 The boxes on the shelves are for specimens being exchanged with other herbaria all over the world. 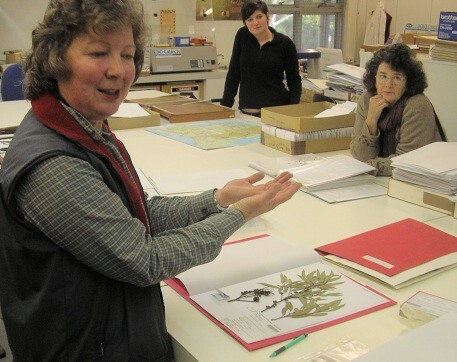 Lynette Cave of the herbarium showing us examples from the Gunn and Archer collections. In the bowels of the building - the climate controlled specimen store, which has ranks of movable steel shelving units. 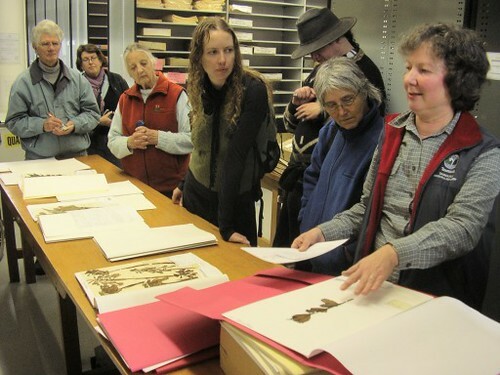 Historian Eleanor Cave showing us showing us some of her favourite specimens, the ones with letters and notes attached that give context and insight into the early collectors lives and conditions.